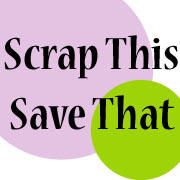 Scrap This, Save That: Feel Like Shopping Today?!?! Okay, post number two for today. Wow, it's really all or nothing for me sometimes! I noticed that Joann's has a 20% off your entire purchase coupon that's good for today only. Of course that means I have to scour all the sales and give you some good match-ups! DON'T FORGET...JOANN'S AND MICHAEL'S BOTH TAKE COMPETITOR COUPONS!!! The only real deal I see at Joann's today is that their DCWV 12 x 12" Stack Value Packs are on sale for $9.99. With the coupon, you can pick them up for $7.99! That's usually my buy price. Now, Michael's deals are another story! Take your Joann's coupon with you and you can score some pretty good deals at Michael's today only!! Entire stock of scrapbook storage is 50% off. I was there earlier this week, and man, they mean EVERYTHING! All their wood storage cabinets, all their plastic storage, picture boxes, glass jars...everything! Use your Joann's coupon to score and additional 20% and you could get a great deal! 24 Sheet 12 x 12 paper packs (new item) are on sale for 3 for $10 (or $3.33 each) The Joann's coupon will bring them down to $2.67 each. Sizzix, Cuttlebug and Slice products (excluding Tim Holtz) are 40% off...take another 20% off with the coupon. That would bring their $5.99 Cuttlebug folders down to $2.87...if I did my math right! Tim Holtz goodies are 30% off...a good deal paired with the Joann's coupon. There's lots of other great deals too, but these are the ones that caught my eye! Michael's has a 20% off your entire purchase coupon that starts tomorrow and runs through next Saturday (7/31/11 - 8/6/11) but their sales will also be changing, and so far, I don't see nearly as many good deals as I see today. Once I get my hands on the Michael's and Joann's sales ads that start tomorrow, I'll come back with another post of super deals!! Aw man! I soooo missed out today. :( I was busy at the dollar store! LOL Thanks for giving me the heads up though and I'm now following your blog. I built my whole scrap room with Michael's furniture at 40 to 50% so every time they have that sale going on, I go back and get a few more things to add to my room. It's pretty much complete now though! I'll post some pics when I get a chance. :) Thanks again! Your blog rocks! P.S. 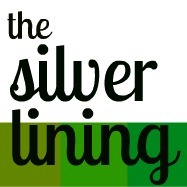 We're in the same blog hop! Yay!